Readers of this website know that we have long been fascinated by the theories of such writers as Erich von Daniken, Zecharia Sitchin, Barbara Hand Clow and others who suggest that the sudden appearance of Homo sapiens in ancient times was the result of DNA manipulation by visiting life forms from other worlds. These writers draw support for their arguments from ancient writings like those found in the Book of Genesis, the Epic of Gilgamesh, The Book of Enoch and the Ramayana. All speak of visiting “Gods” that came out of the sky and taught the people in the arts of contemporary living. The Book of Enoch, for example, spoke of angels who taught humans how to make swords, knives, shields, breastplates, mirrors, jewelry, paints and dyes, cosmetics and the use of roots and plants for medicine. They also taught astronomy, astrology and the importance of the “motion of the moon” in relation to the harvest. Notice that the list is topped by early instruments of warfare and then is followed up by materialistic things that help enslave the people who desire them, but don’t need them. The “gods” were given different names in the mythology. They were called Anunnaki, Nephilim, and Vrishis by the various tribes. Except for the amazing flying machines that shot fiery projectiles at the enemy in the Indian account, the stories were all similar. Their arrival brought about a sudden advancement in knowledge and technology among the humans. Now a new genetic study conducted by a team of researchers led by Stuart Fleischmann, Assistant Professor of Comparative Genomics at Swiss University in Cairo have published the results of a seven-year study that appears to link alien DNA to the genomes of nine ancient Egyptian Pharaohs. In the paper, Fleischmann suggests that the lineage of these pharaohs were linked to the genetic manipulation of a technologically advanced civilization. Thus the research strongly supports the argument that the builders of the pyramids not only had help from beings that came from other worlds, but they were hybrids of these alien visitors. The Fleischmann paper noted that the research team subjected samples of DNA from the ancient pharaohs to a process they called Polyymerse Chain Reaction, a field of molecular biology that replicates and amplifies a single copy of a piece of DNA. This gives the research team a clear picture of the pharaoh’s genetic fingerprint. One of the subjects of the research was Akhenaten, the father of Tutankhamun, whose bone tissue produced a special gene that would have caused cortex brain growth. 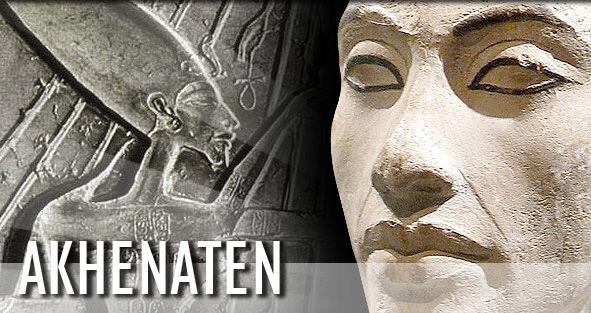 Thus the evidence is clear that Akhenaten possessed a larger cranial capacity to house a larger than normal cortex. The team is still attempting to explain the mutation that would cause the human brain, and consequently the skull to grow larger than that of a normal human skull. The many art depictions of the Egyptian pharaohs and their queens, showing extended skulls, thus were probably more than a mere artistic embellishment of that era. This was how these people really looked. Proof of this kind of genetic manipulation has been found in skulls uncovered by archaeologists not only in Egypt but throughout ancient Mesopotamia and portions of Central and South America. It appears that the Fleischmann research team has uncovered proof that the ancient civilizations that we know of were influenced by advanced civilizations that either preceded them on Earth, or visited them from other worlds and possibly other dimensions. If the latter occurred, the implications are profound. It means that these alien visitors have been returning to Earth regularly for thousands of years, that they may have a hidden agenda that may or may not be friendly, and that they may someday return. Yet another disturbing aspect brought out by this study is that the Egyptian royalty subjected to these DNA experiments had children. Did the direct descendants of ancient Egypt's royal lineage carry on the alien genome? Are the descendants . . . now numbering in the thousands if not millions . . . living among us today. Are many of us possessing these genetic links and not knowing it? What could all of this mean? Could we not have been played like stage puppets at the pleasure of the secret power figures all along?